Here's a tip for businesses of all kinds – making consumers happy is not that complicated. For example, look at Chick-Fil-A. While many fast food restaurants bitterly fight for customers and are spending millions on advertising campaigns, Chick-Fil-A stays packed around the clock. 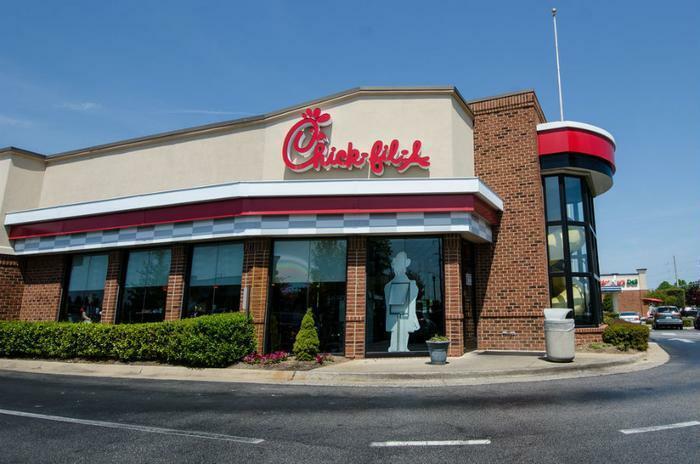 As we reported back in May, Chick-Fil-A emerged in a tie for the best fast food restaurant in the 2016 Temkin Ratings, based on a survey of 10,000 U.S. consumers. To show it was no fluke, the chain came in first the following month in the 2016 American Customer Satisfaction Index Restaurant Report. Sure, the food is pretty good and so is the service, but a new report suggests there is a simpler reason for the restaurant's success – the people who work there are nice. If you use the drive-thru at Chick-Fil-A, the survey found your chances of getting a “thank you” were 95.2%. McDonald's thank you rate was 78.4%, near the bottom. Mark Moraitakis, senior director of hospitality and service design, told QSR that the company's employees are its “secret recipe.” The drive-thru strategy, he says, is designed around people as much as it is technology and systems. In May's Temkin Ratings, fast food restaurants in general scored lower than they did the year before, suggesting consumers are less satisfied with Chick-Fil-A's competitors.